People will definitely for any reason want to transfer information from their iPhone, iPad or iPod to computer (Windows or Mac). Unfortunately, Apple iTunes doesn't grant users the feature of extracting data from an iTunes back up neither to save certain data fileswith the ability of accessing it easily. Obviously, by looking through those arguments I found my way to start writing this tutorial to explain the quickest and easiest way to transfer information data such as Contacts, Notes or Messages (SMS) to your Mac or PC for free by using the best alternative program for iTunes which is iTools. 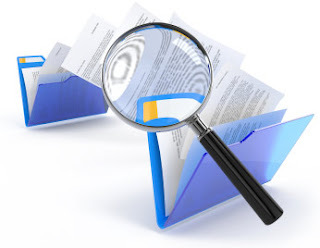 Note : if you are looking to transfer other type of files such as Media, Photos, Music, e-Books or anything else then feel free to read my other article. You can also use that method to export your desired files from any Apple iOS Device without having to use Apple iTunes so you can access them easily. While you are in the Welcome Screen, insert your iDevice using the original USB Cable and look at the left-sidebar where you find you Device's name when it's done. After that, several icons will appear and what you are going to do is choosing the Information Option from this left-sidebar list. How to Transfer iPhone Contacts to Computer? To transfer your Contacts to your computer you will have to click on the (Contatcs) option from the top bar. 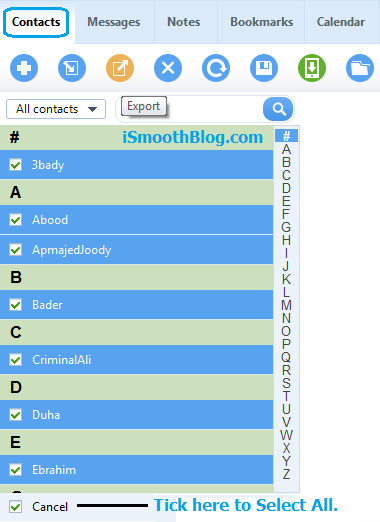 Then, you can select the contacts that you wish to save and if you want to transfer all of them you would have either to tick the bottom square or to press (Ctrl + A) on your keyboard. Now that you have your contacts selected and you just need to export them to your computer. To do so, click from the top bar on the (Export) icon and a menu will appear asking you to choose where do you want to save your selected data. To transfer your Notes you will have to click on the (Notes) option from the top bar. Then, you can select the notes that you wish to save and if you want to transfer all of them you would have either to tick square of the first (Title) field or to press (Ctrl + A) on your keyboard. Now that you have your note files selected and you just need to export them to your computer. To do so, choose from the top bar (Export) icon and a menu will appear asking you to choose where do you want to save your selected data. How to Transfer iPhone Messages (SMS) to Computer? To recover your Messages (SMS) you will have to click on the (Messages) option from the top bar. Then, you will see all the messages that you have on your iDevice and you can only save all of them in one (.CSV) file by default. Well, now you just need to export them to your computer by clicking on the (Export) icon in the top bar and a menu will appear asking you to choose where do you want to save your selected data.